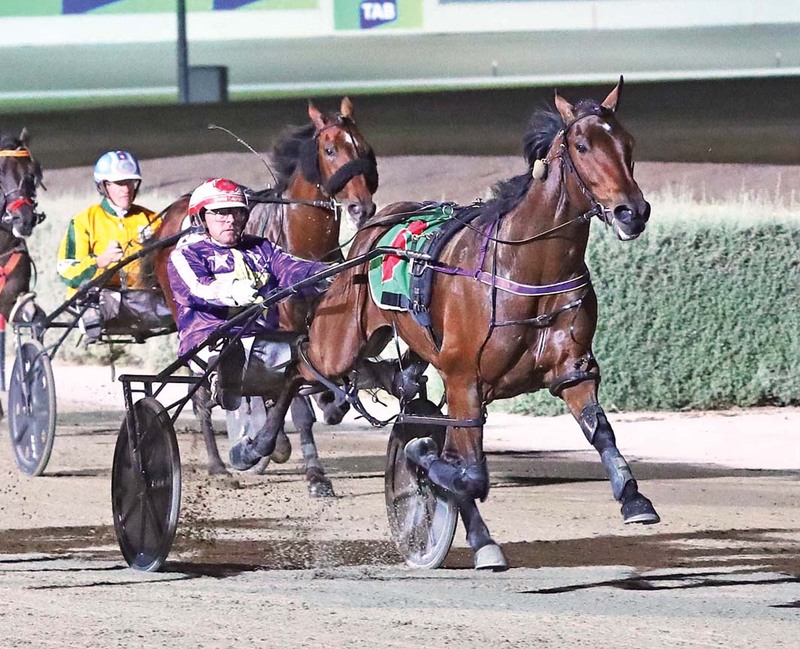 AUSTRALIAN Pacing Gold graduates have dominated the national pacing awards. Thanks to yet another remarkable debut season – which saw APG stock win an incredible 21 Group Ones – three have topped their respective categories in the Australian Horse of the Year titles. Shez All Rock was named premier three-year-old filly as a result of her outstanding term. Making her debut at the beginning of the season, Shez All Rock became the southern hemisphere’s premier three-year-old filly by annexing four Group Ones. An $11,000 Melbourne buy, Shez All Rock boasts an impeccable record of 10 wins and a second from 11 starts for earnings of $426,350. Winner of last month’s Breeders’ Crown Four-Year-Old Championship, Carlas Pixel was crowned Mare of the Year. Carlas Pixel registered 10 wins and 10 placings from 25 starts, with her tally including the Group One Ladyship Mile triumph earlier in the year. Bought for $20,000 via APG’s Melbourne Sale, Carlas Pixel has bankrolled $389,828 as a result of 18 wins and 16 placings from 51 starts. Rounding out the trio is exciting youngster Centenario, which boasts eight wins and three placings from 11 freshman outings. Successful in the APG and Vicbred Super Series Finals, the colt bankrolled $303,500 as a $115,000 Melbourne APG purchase.